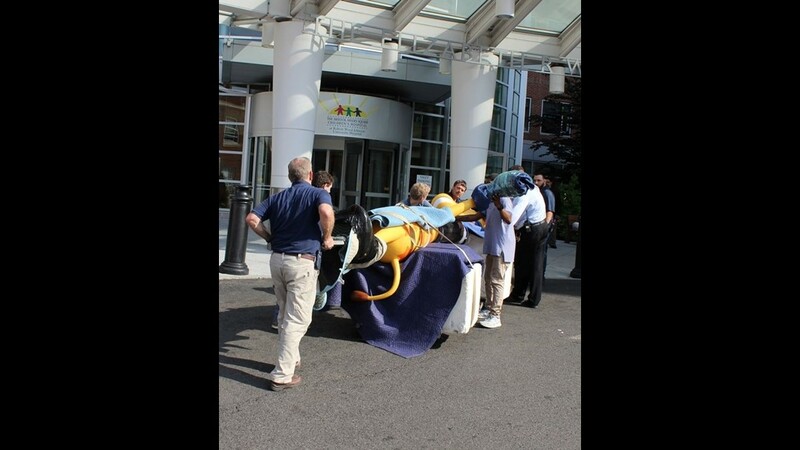 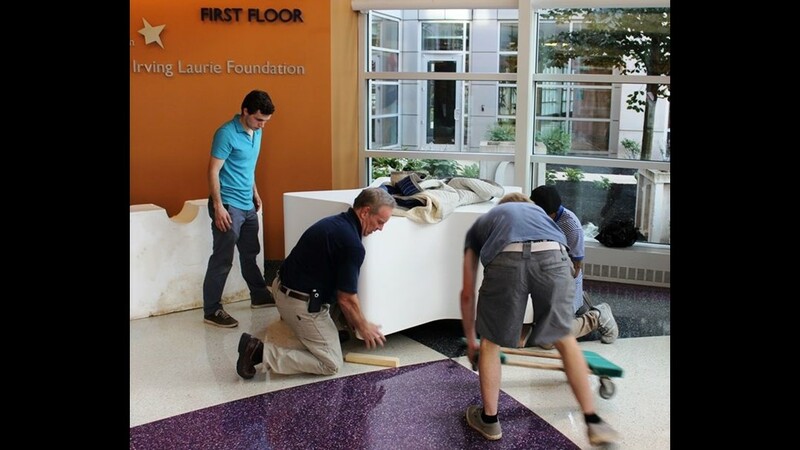 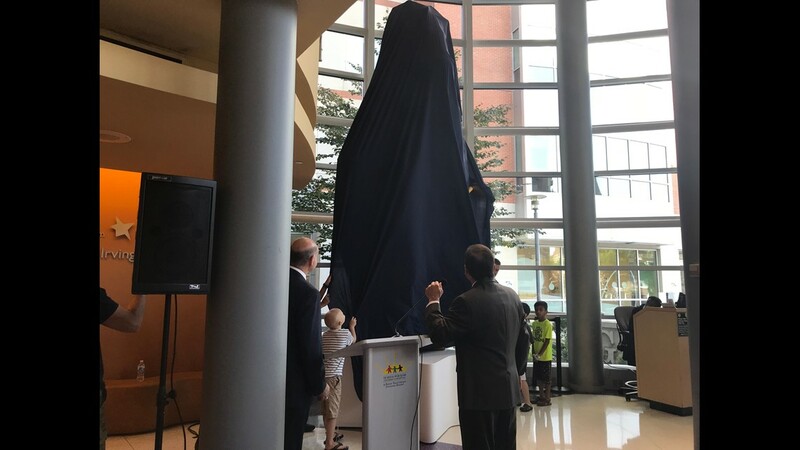 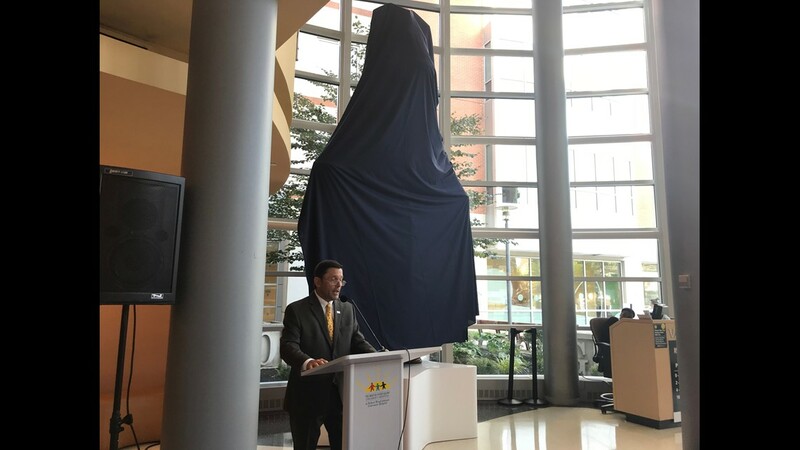 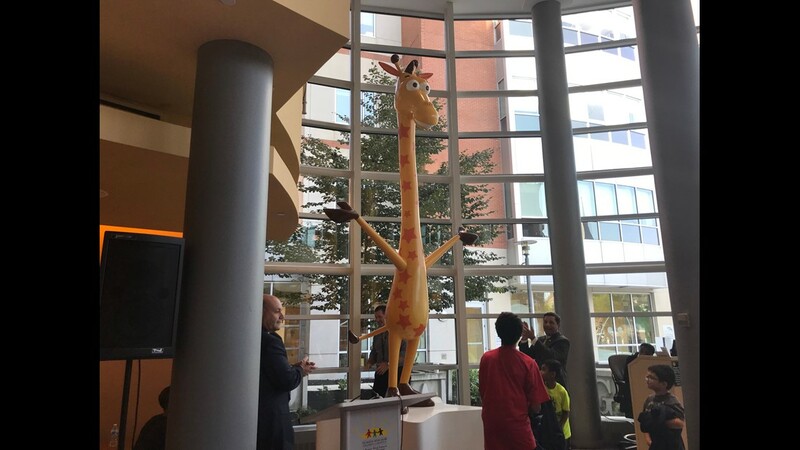 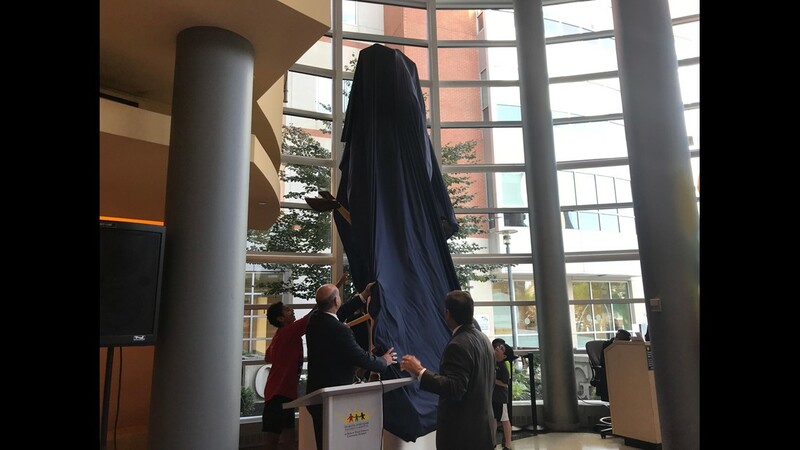 Once located at the Toys ‘R’ Us headquarters in Wayne, New Jersey, the 16-foot tall, 550-pound fiberglass statue of Geoffrey the Giraffe has found a new home at Bristol-Myers Squibb Children’s Hospital at Robert Wood Johnson University Hospital (RWJUH) in New Brunswick’s. 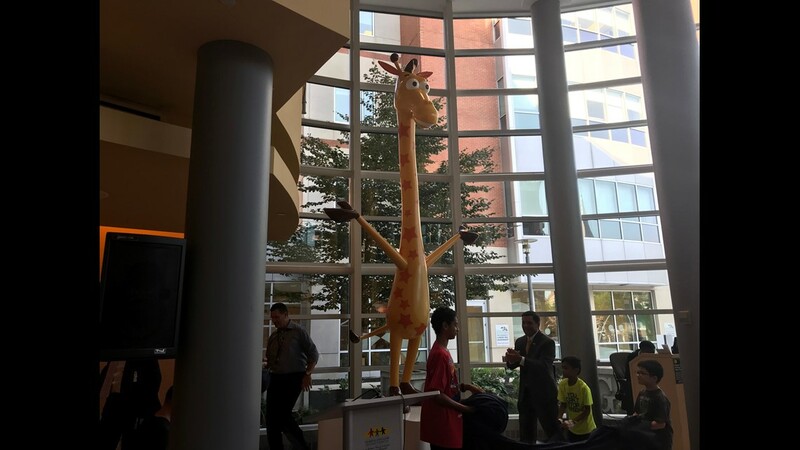 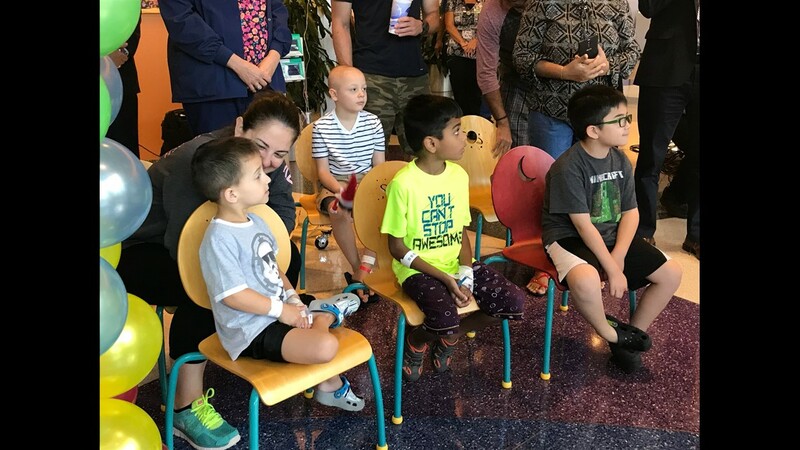 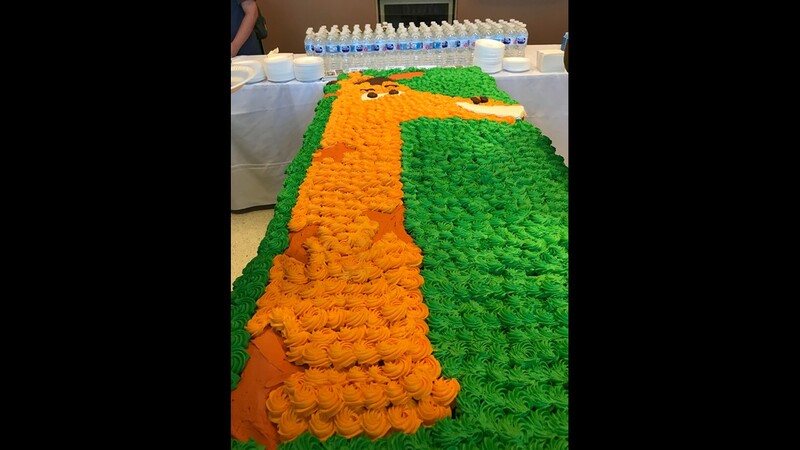 On July 11, Geoffrey was welcomed to his new home in the lobby of the Children’s Hospital to greet sick children and their families as they enter the facility. 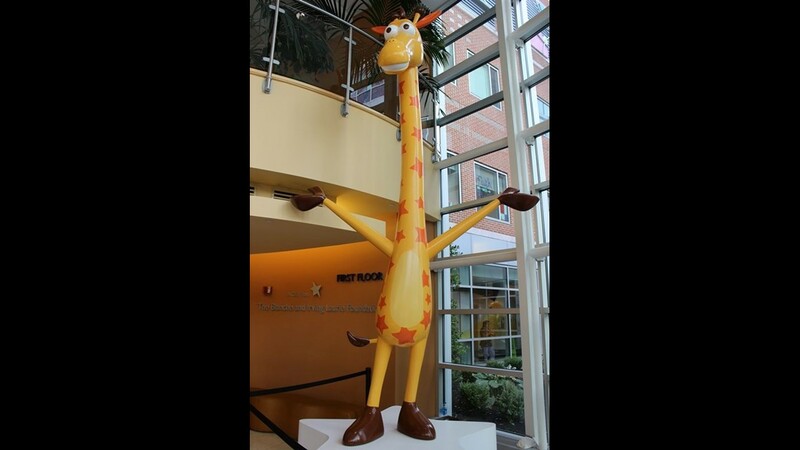 NEW BRUNSWICK, N.J. — Geoffrey the Giraffe, the 16-foot-tall fiberglass Toys R Us mascot, has made a move to a new home less than two weeks after the retailer's U.S. toy stores closed their doors. 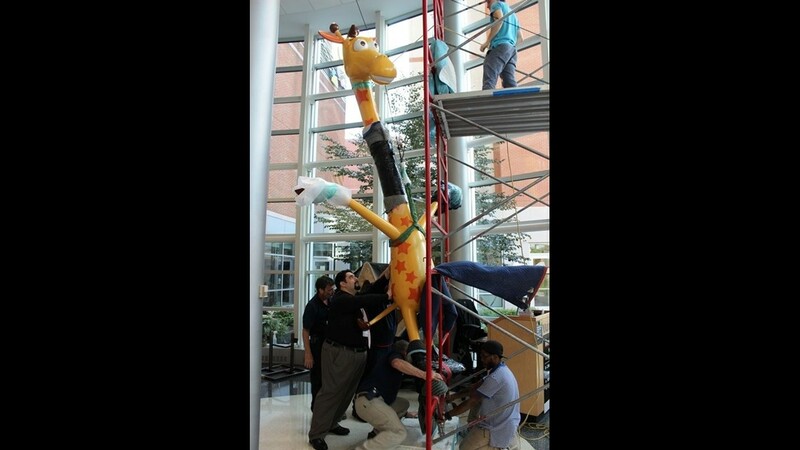 At one point, the future of Geoffrey — about as tall as a real male giraffe — was in doubt as the 70-year-old company filed for bankruptcy and liquidated operations, including its corporate headquarters in Wayne, New Jersey. 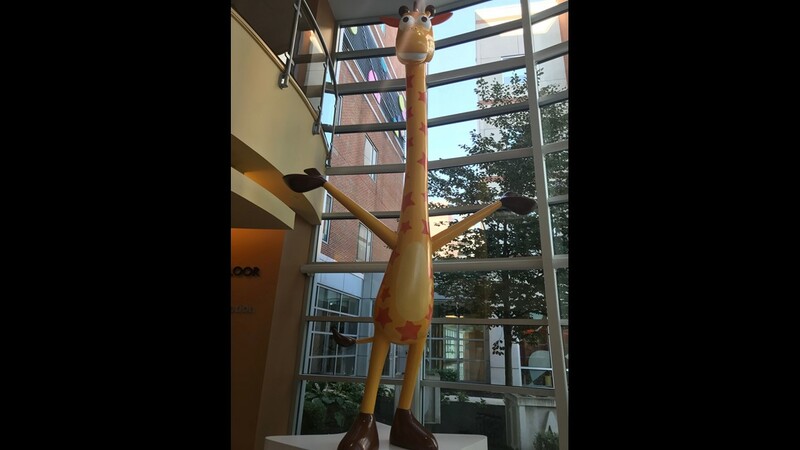 Because of Geoffrey's size and the cost associated with transportation and installation, the company struggled to find someone to buy him. 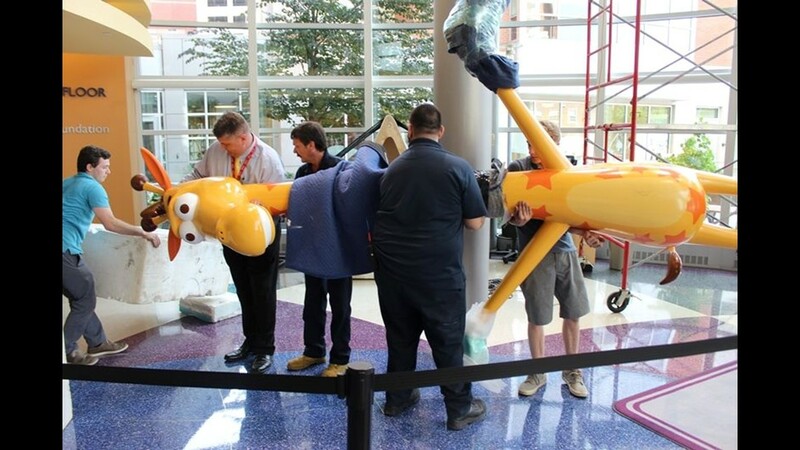 As the June 30 deadline to clear out and clean up drew closer, the Toys R Us liquidation adviser, Joseph Malfitano of Boulder, Colorado, bought the giraffe and paid $10,000 to have Geoffrey packed and shipped the 50 miles here to Bristol-Meyers Squibb Children's Hospital at Robert Wood Johnson University Hospital. 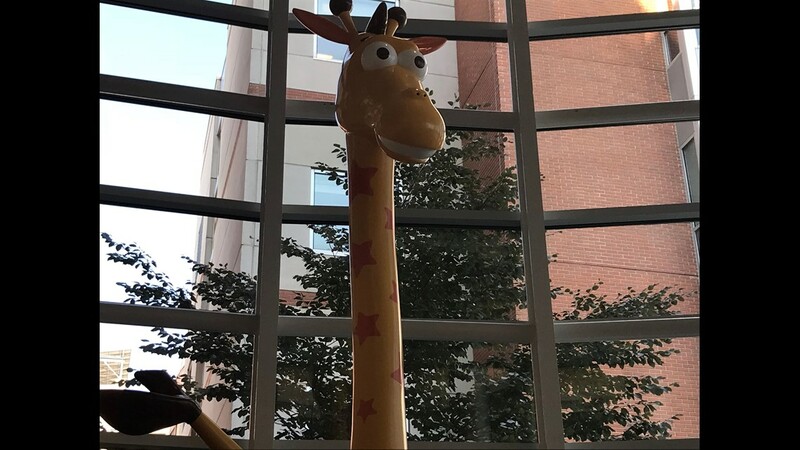 Malfitano thought a children's hospital would be an appropriate home for the beloved mascot. 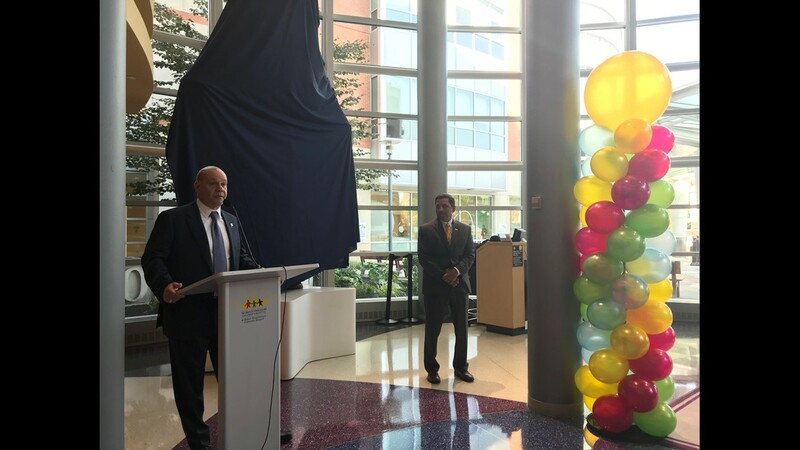 "I was a Toys 'R' Us kid," Malifitano said. 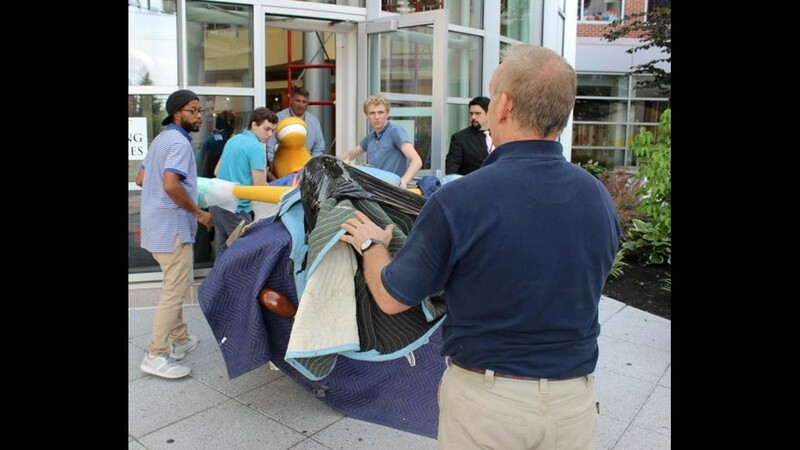 "This is an iconic piece of retail history. 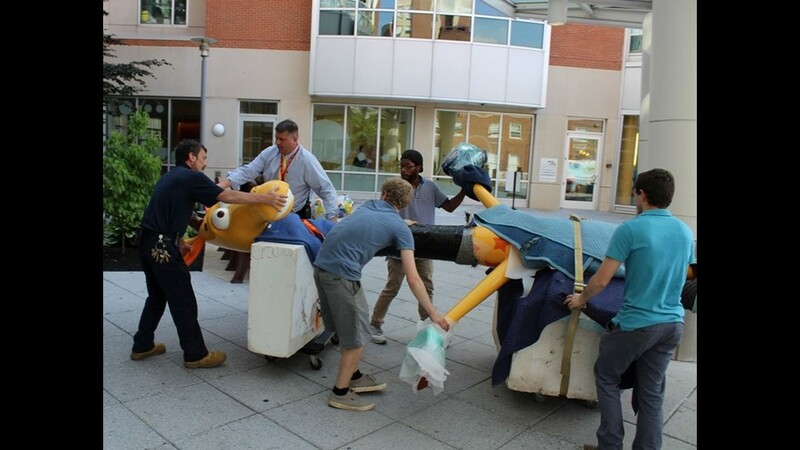 For it not to continue to bring smiles for years to come was a shame. 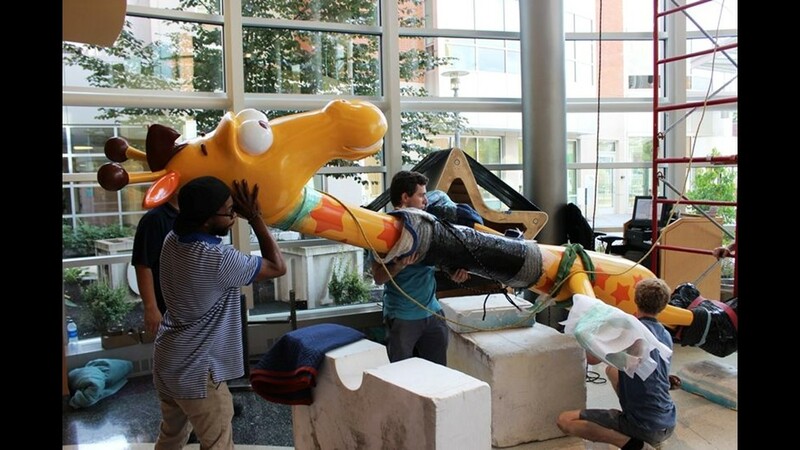 This seemed like the right solution. 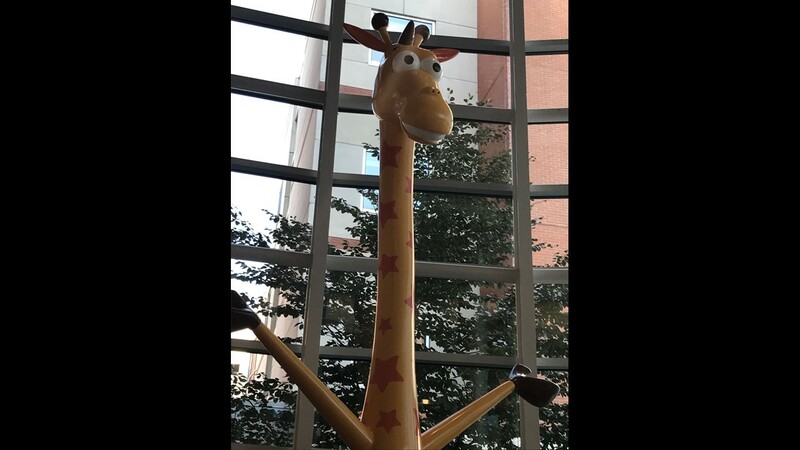 I'm happy to see he has a good home." 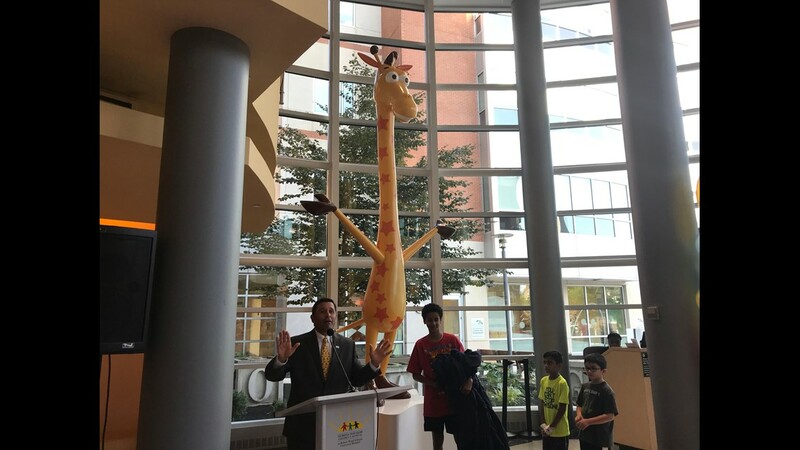 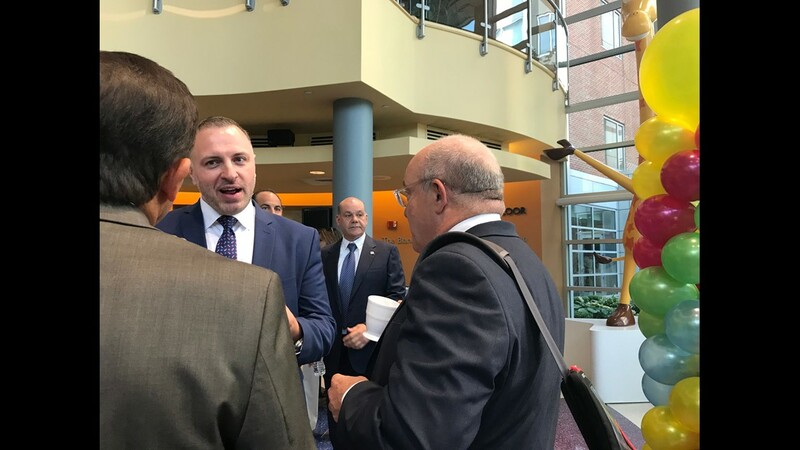 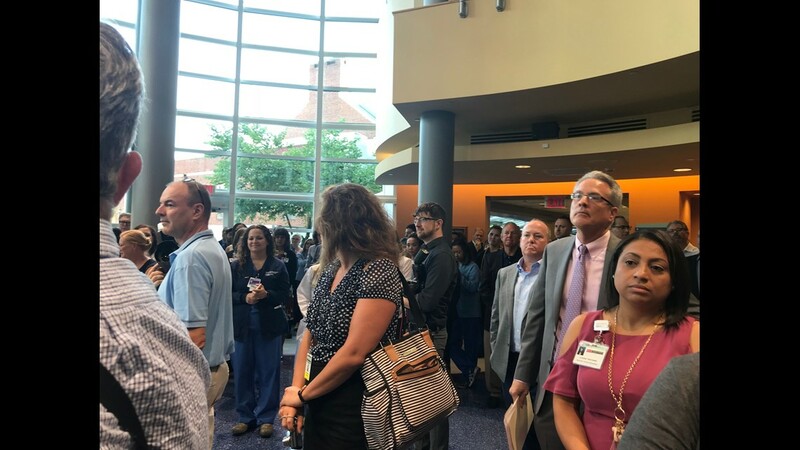 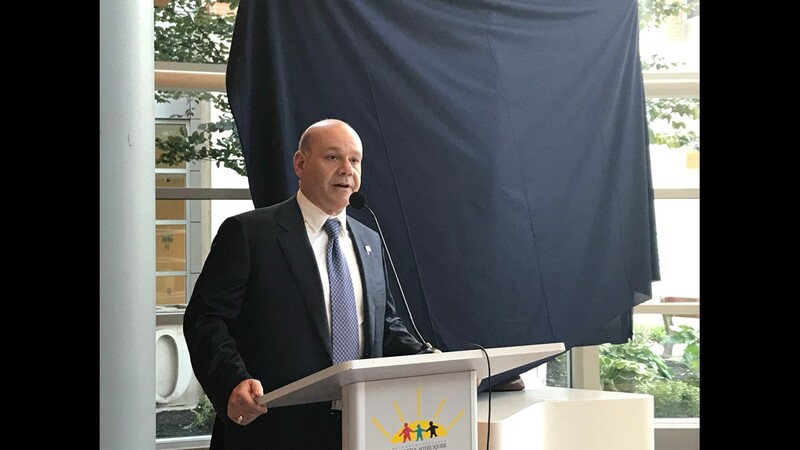 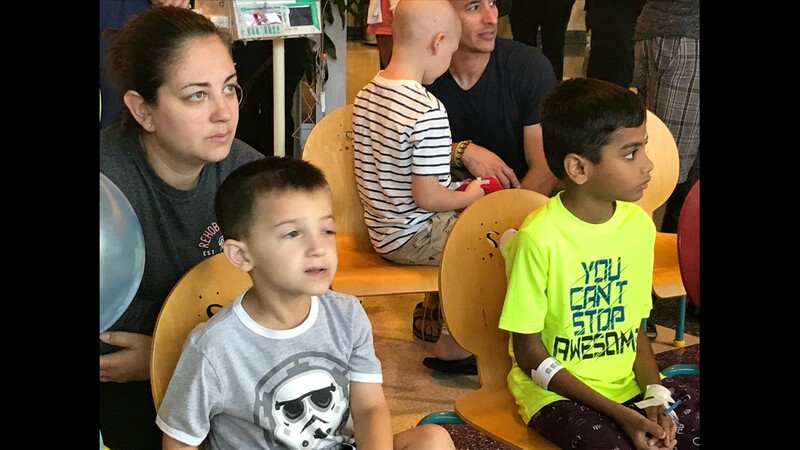 Upon hearing of Malifitano's plan, Ken Rosen, an RWJBarnabas Health board member, agreed to donate an additional $6,000 to install the Geoffrey statue in the Bristol-Meyers Squibb Children's Hospital lobby. 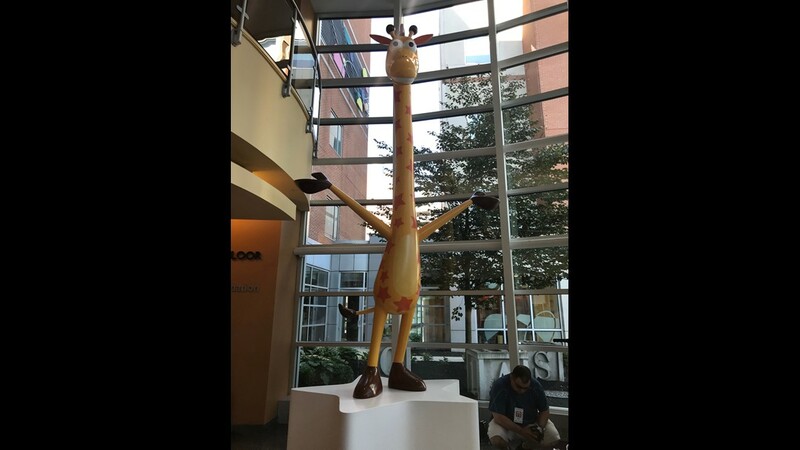 Once located at the Toys ‘R’ Us headquarters in Wayne, New Jersey, the 16-foot tall, 550-pound fiberglass statue of Geoffrey the Giraffe has found a new home at Bristol-Myers Squibb Children’s Hospital at Robert Wood Johnson University Hospital (RWJUH) in New Brunswick’s. 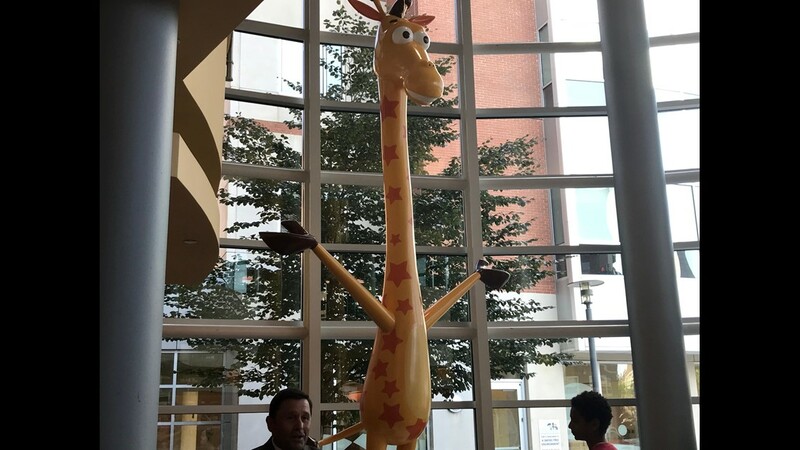 Geoffrey was welcomed to his new home July 11 in the lobby of the Children’s Hospital to greet sick children and their families as they enter the facility. 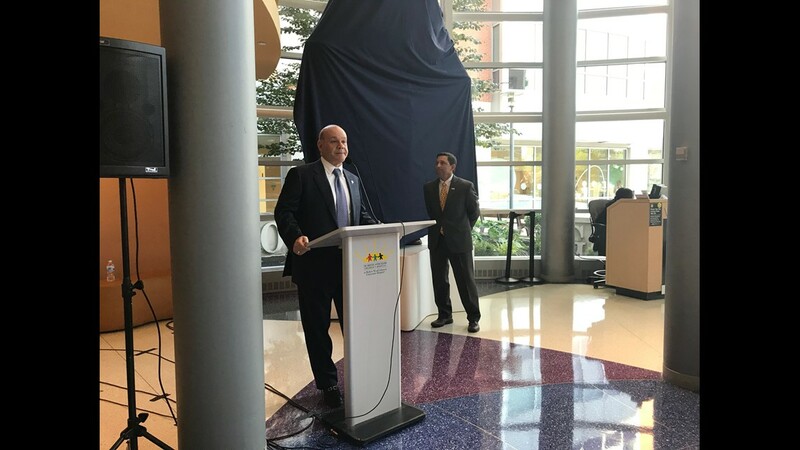 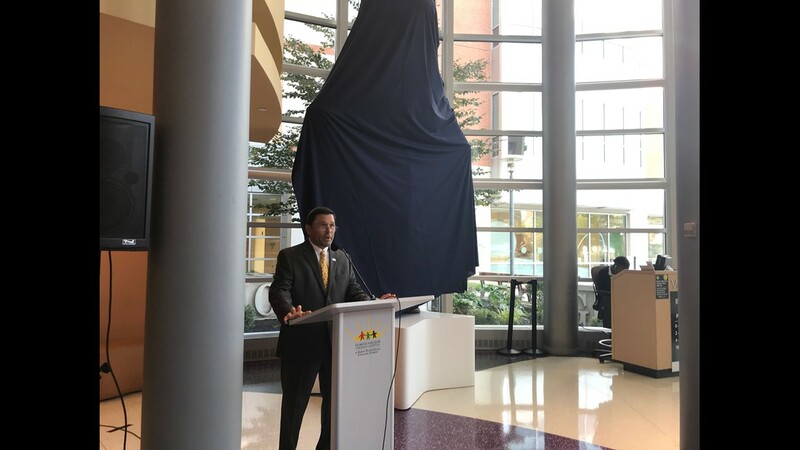 "That was no small commitment," said John Gantner, the university hospital's president and chief executive. 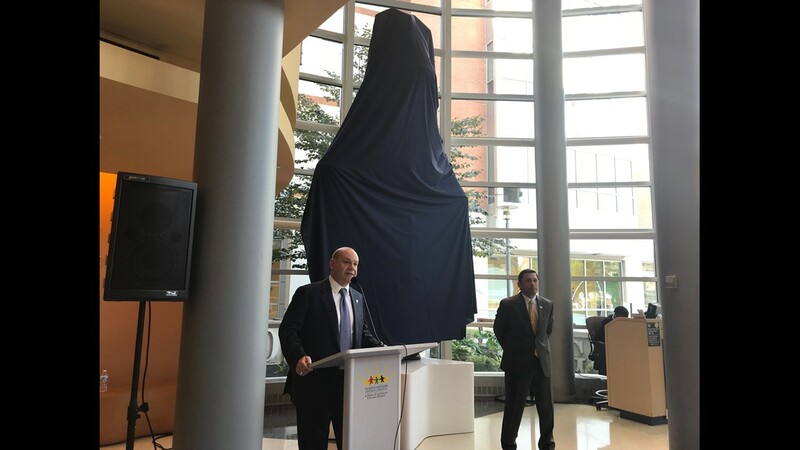 "I couldn't fit him in the back of my Ford F-150." 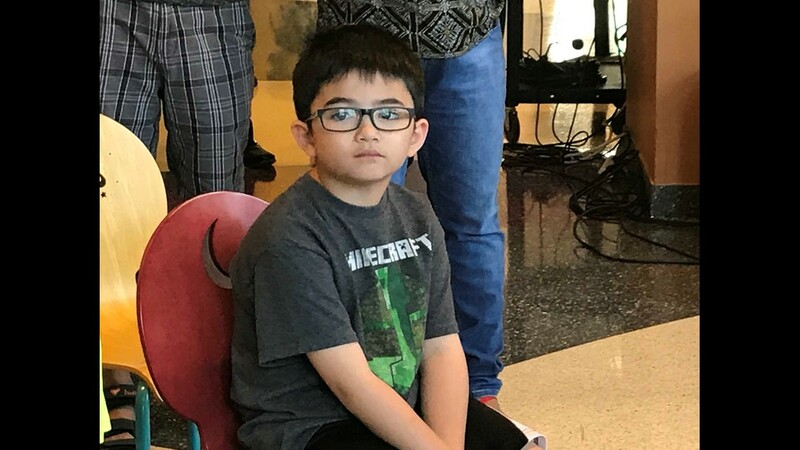 "He's excited now," said Michael's mom, Sherry Stein. 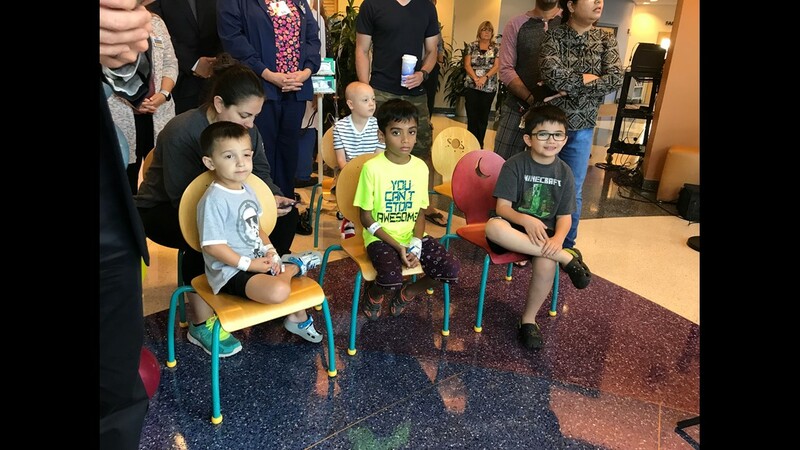 "He was very nervous about getting his tonsils and adenoids out. 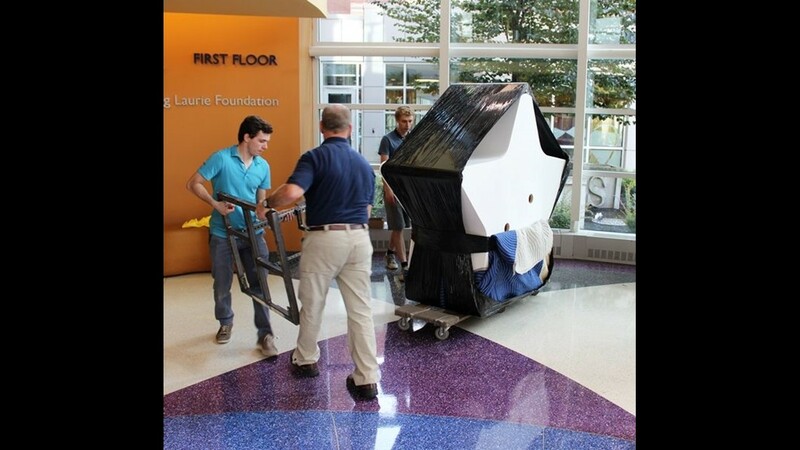 This is a very good distraction." 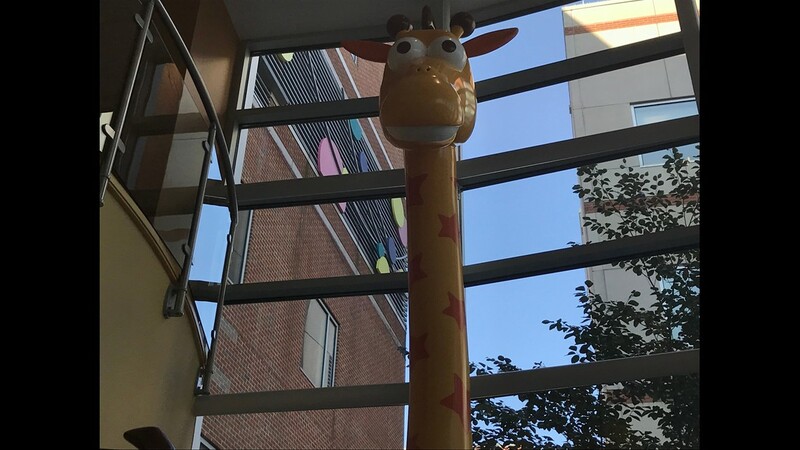 Geoffrey's original name was "Dr. G. Raffe," so Gantner thought it was appropriate that the giraffe's new residence was a hospital. 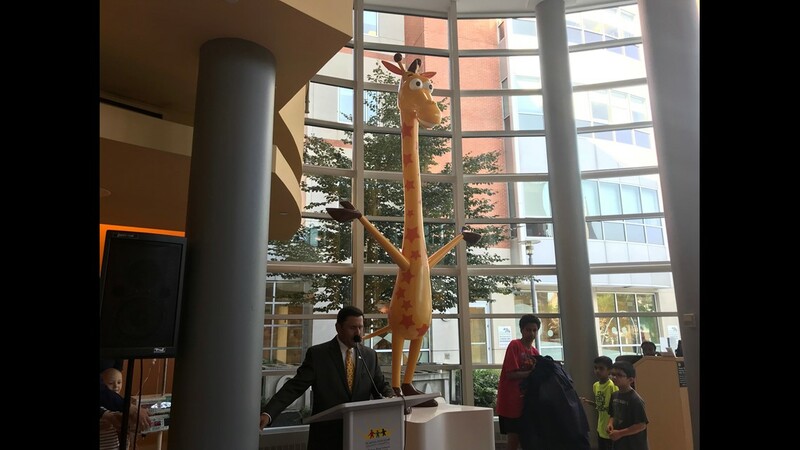 "In our children's hospital, Geoffrey will continue to stimulate the minds and hearts of our littlest patients and briefly replace their fears and apprehension with happy thoughts and some fun," he said. "I figured if I did this, I would be the coolest person in the world to them," Rosen said. 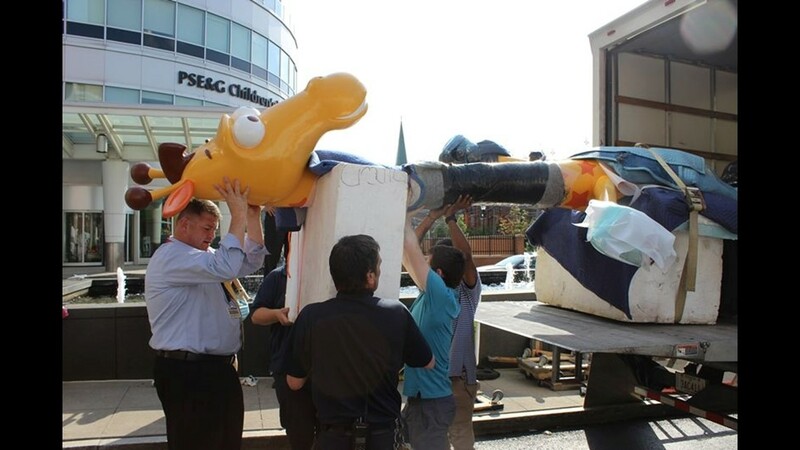 "What happened to Toys 'R' Us brought a lot of pain to a lot of people. 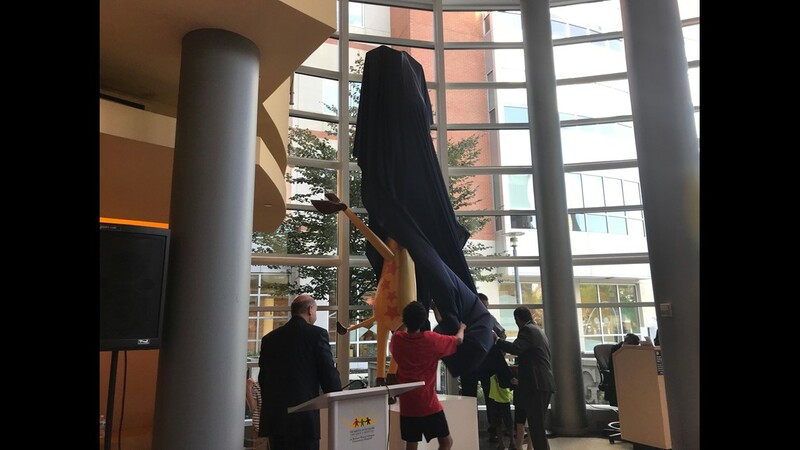 This would bring a lot of happiness to a lot of people," he said. 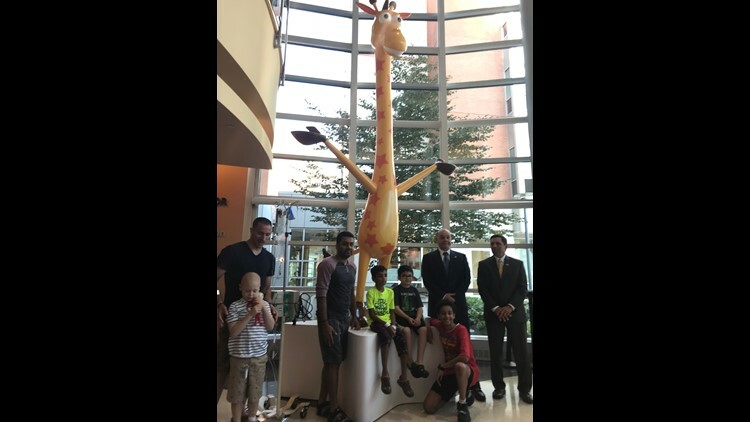 "When I heard about it, I thought it would be particularly nice for the kids who come to the hospital with a lot of fears and when they see him, he could make them smile."